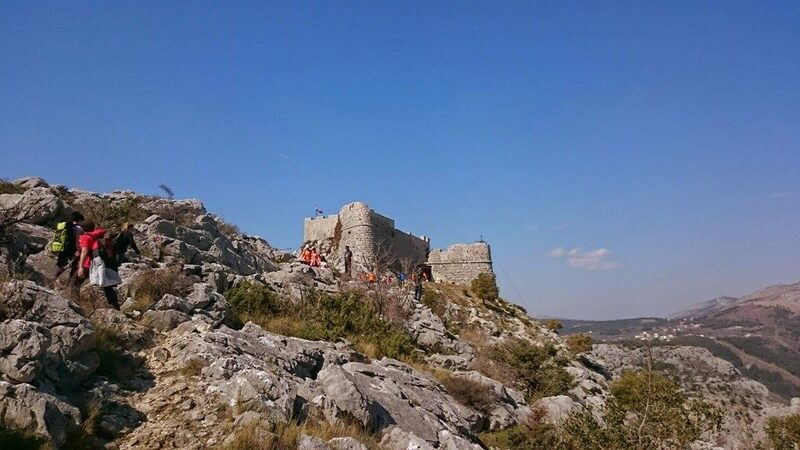 If you are on holiday near Omis in Dalmatia and are a fan of historical fortresses, stunning views and a bit of hiking, you should plan a visit to Fortress Starigrad (Fortica), a 14/15th century fortress situated on a hilltop 260 meter above Omis. What’s the history about the fortress? Fortica is from the time when the Venetian empire ruled in the area, the fortress, together with the other Omis fortress Mirabela, was an important protection from the Turks (Ottomans empire) who at the time occupied Bosnia and Herzegovina and where pressing to concur parts of the Croatian coast. 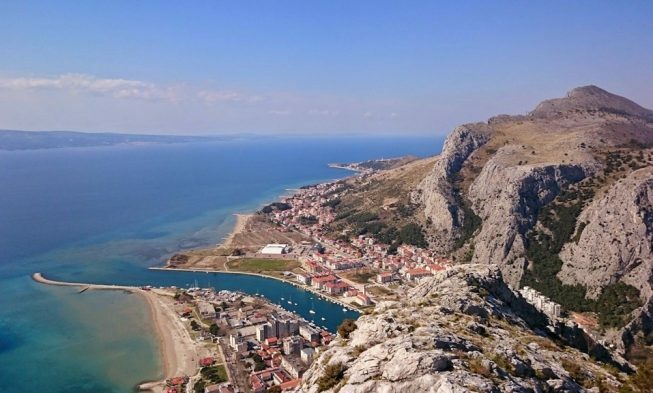 In addition to being a great look out post, the fortress was also the place for the citizens of Omis to retreat in case the attackers came too close, from the fortress they would then be able to bombard the attackers in the city with stones, luckily this never happened. 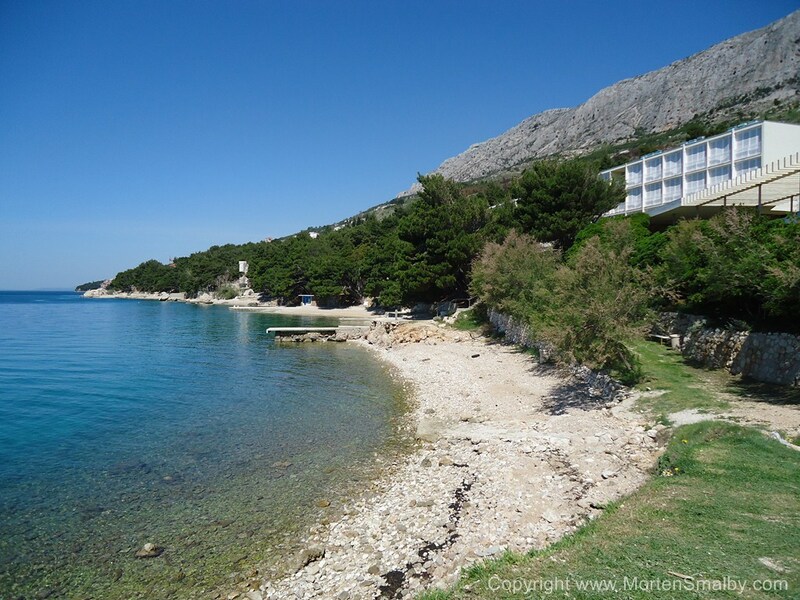 How to get to Starigrad / Fortica? 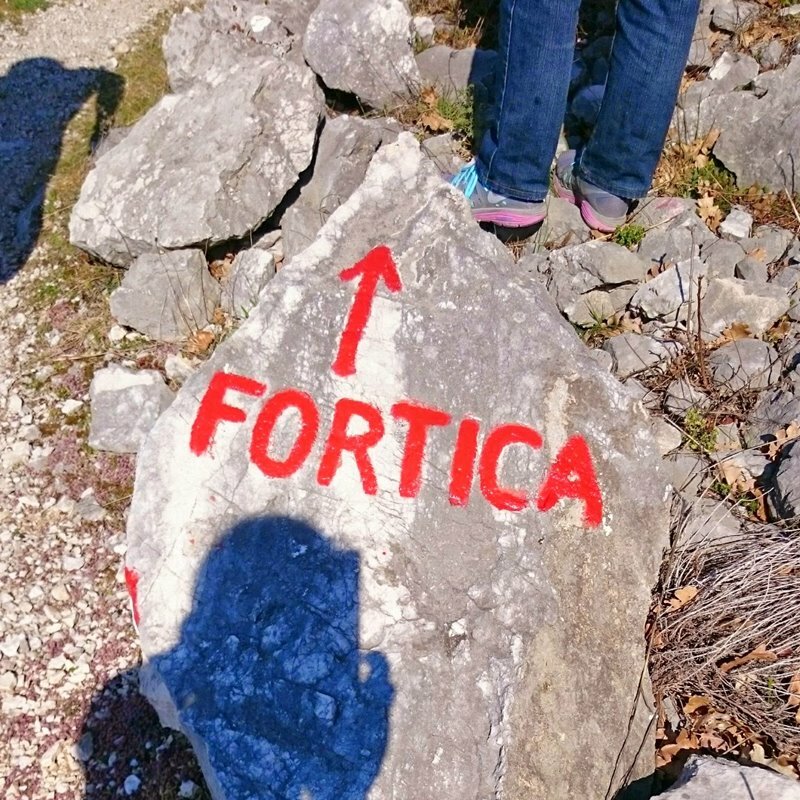 Fortica is located about 1,2 – 2 km from the centre of Omis, the shortest route starts between the tunnels on the southern side of the Cetina river, this route is also the steepest which is why i would not recommend this one. A better way to choose is to follow the road behind the fire station, from here there are at least two ways to the top, both are marked with signs which you just have to follow, these routes are longer but less step. The walk to the top takes about 45 minutes, if you are in really good shape you can probably do in about 30 minutes. 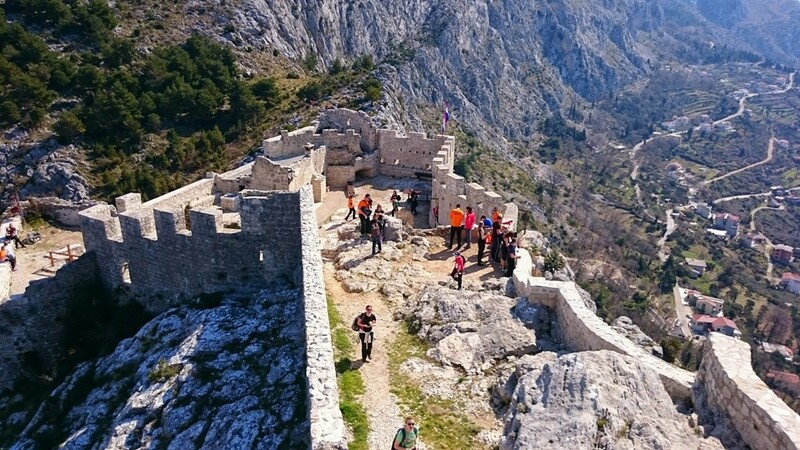 If you do not feel like to the hole climb, you can drive up to the village Baucici (Follow road from behind fire station) , from where there is about 20 minutes walk to the fortress, be aware parking is limited in the village. Walking to the fortress during the day hours with a powerful sun shining is not recommendable, plan your trip in the early morning hours or in the evening. If you do the walk during day hours, remember sunscreen, the sun is really powerful! As there is no toilet at the fortress, make sure you do not need one when you get there! Make sure to bring a good camera / mobile phones, you will be able to get some fantastic photos once you reach the top! If you travel with smaller kids, i would not recommend doing the climb unless they are used to hiking. Also if you have a weak heart you should probably not do the trip it is quite exhausting. At the fortress, there are no visitor facilities so do not plan to sit up there for a coffee or a three course meal. Please note once you get to the fortress you will have to pay an entrance fee of 20 Kuna (2016 price), these money is for the preservation of the fortress.